To help you avoid a serious plumbing issue — and an expensive fix down the road, here are a few common signs of plumbing problems. While it’s perfectly normal for a faucet to drip when it’s not turned all the way off, a leaking faucet that’s completely turned off could be a sign of bigger problems. A dripping faucet is not only annoying, it could be costing your hundreds of dollars and countless gallons of water over the years. If you notice a leak in your faucet, you should call plumbing repair services immediately. In some minor cases, you can use a plunger or commercial drain cleaner to fix clogged drains. 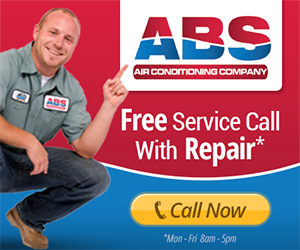 However, if you notice a foul smell or the blockage seems particularly bad, it’s important to call for plumbing repair services, as they can fix the problem easily. This issue is more annoying than a dripping faucet, and more serious. While low water pressure can result from the dishwasher and the shower running at the same time, it can also be the result of a leak. 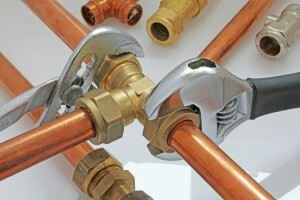 Commercial plumbers will be able to come and diagnose the issue, so call as soon as you notice the problem. Make all the “catch your fridge” jokes you want, but a running toilet can seriously damage your water bills. Around 20% of toilets leak to some degree, which means their inner workings may need to be replaced by plumbing services. A good rule of thumb to follow is if there’s a stain on the ceiling under your bathroom or on one of the walls, call the plumber. A plumbing company will be able to diagnose and treat the issue. if could be a simple leak or something more serious, but this is one project you shouldn’t DIY. Regardless of the issue you notice, hopefully these tips will help you notice it early on before it becomes a major issue.